England is home of one of the world’s foremost cities, but there’s a lot more to the country than just London. Let’s take a look at where to visit in England. Want to learn more about England? Getting around England is pretty simple, whether you have a car or have to rely on public transport. If you’re renting a car, the road network is very comprehensive – but remember, drive on the left! The train system can easily get you where you need to go, although it doesn’t move as fast as on the continent. Still, the railroad will likely be your most viable method of getting around. Cheap flights are also available between England’s largest cities. When should I visit England? Weather wise, you can visit England year round. Just expect an abundance of rain during the winter months (and the summer for that matter). Mid-April to mid-October is the peak tourist season, and some historic sites are only open during this time. That being said, you can still see a lot (and avoid some crowds) if you go in early spring, late fall, or winter (though you’ll generally want to stick to the cities during the latter). Okay… let’s face it. You were never going to go to England and not go to London. It’s the capital, one of the largest cities in Europe, and one of the most visited and most historic cities in the world. For those of you that have been to New York City, there are a lot of similarities here (bar the massive amounts of skyscrapers), but with more history and a distinct British twist. Pubs, the theatre, parks, and free museums (Natural History, Science, National Gallery, British Museum, and more) are all easily accessible via London’s extensive tube network. 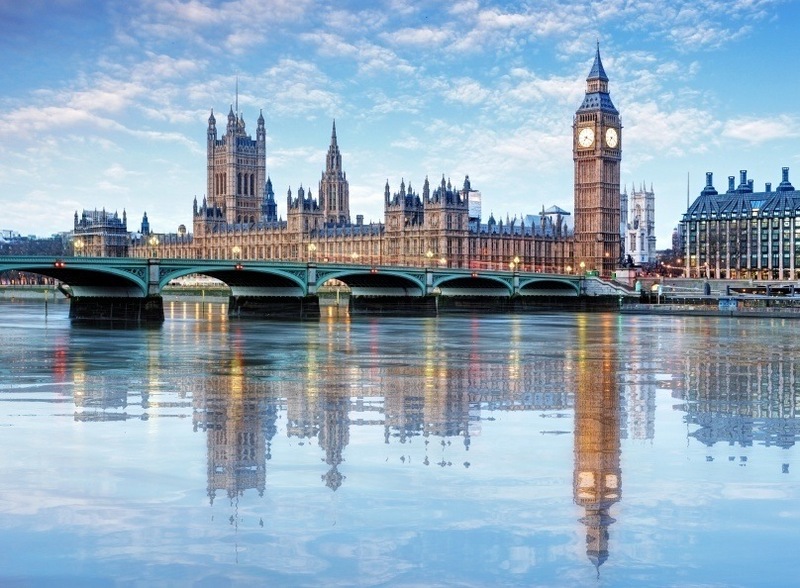 Renowned landmarks such as Westminster Palace, the Tower of London (and Tower Bridge), St. Paul’s Cathedral, the Globe, and the London Eye are all worth a look if you have the chance as well. Within Central London alone, the options are nearly endless, but there’s a lot more to see here. Leave the crowds and tourists behind for any number of boroughs beyond the City, Westminster, and the South Bank and you’ll find an intriguing mix of cultures, peace and quiet, and a much more ‘English’ atmosphere. If you’re looking to catch a soccer match, you can find teams in the north, west, south, and east – there will be five Premier League teams from London next season. 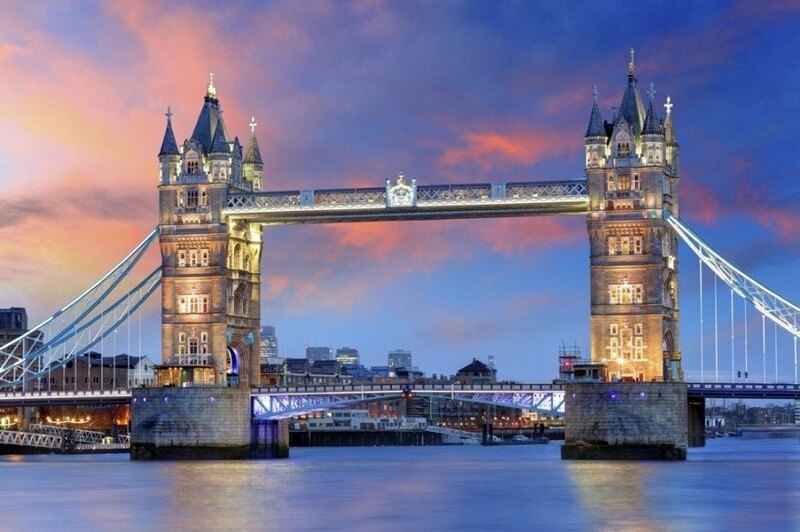 All told, London may not be the most ‘English’ part of England – but it is also one of the world’s most important, largest, and multicultural cities, and offers an unrivaled experience. Located in South East England (predominantly within East and West Sussex), these rolling hills are exactly what you’d expect from the English countryside. The picturesque greenery populated intermittently by villages, estates, and farms is home to some great (and easily accessible) hiking, mountain biking, and even paragliding if you’re up to it. Stroll by rustic windmills, stumble across the Long Man of Wilmington, or venture down to the iconic seacoast. 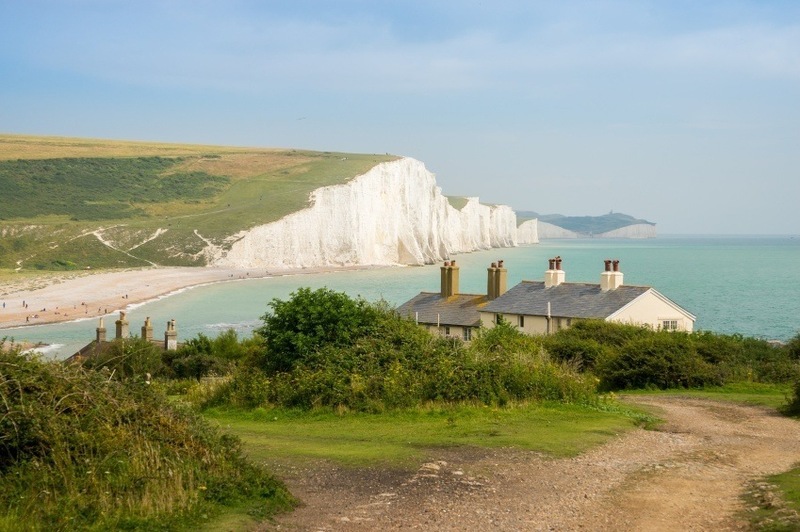 Beachy Head and the Seven Sisters are home to some of the most spectacular white cliffs you can imagine. Other landmarks include the nearby former Royal Observatory and Herstmonceux Castle, as well as the seaside resorts of Eastbourne and Brighton (two of the larger population centres in the region), which are well known for their iconic piers. This historic city is worth a trip alone for the eponymous Cathedral that is home to the Church of England. One of the first things you’ll notice is how massive the entire complex is. Traveling through Europe can sometimes leave tourists ‘churched-out’ so to speak, thanks to the abundance of options – however if there was ever one deserving a separate visit, it’s this. Beyond the Cathedral, the Medieval core of the town remains enticing, with the narrow streets, overhanging buildings, winding rivers, city wall, and ruins creating a great atmosphere. If you’re looking for something a little more modern, the university population has contributed to newer and trendier bars and restaurants popping up all over. 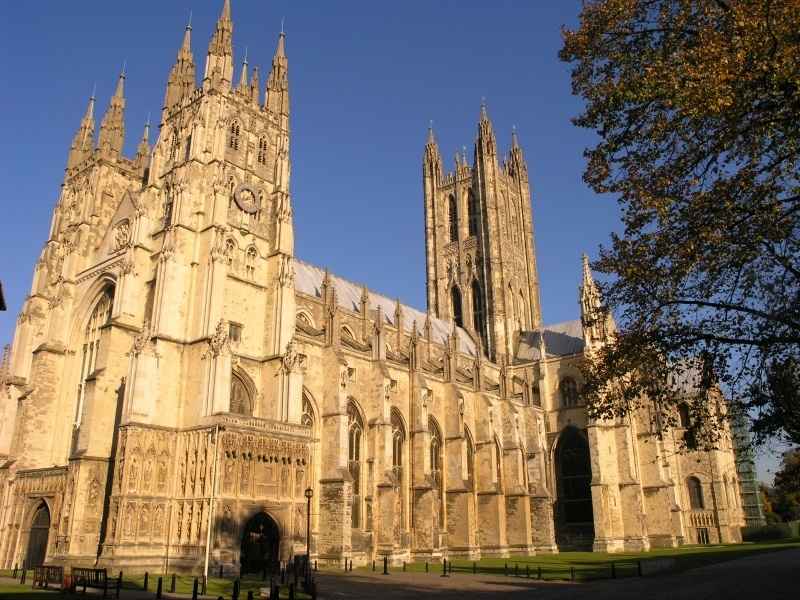 Whether you’re interested in the 11th century or 21st, Canterbury has something for you. If you’re looking for something a little different in the South, the rugged peninsula of Cornwall might be perfect for you. Cornwall is considered one of six Celtic nations along with Wales, Scotland, Ireland, the Isle of Man, and Brittany – and remnants of its unique heritage can still be found among the many hamlets and towns. The amazing scenery and relatively small population makes Cornwall a popular retreat for both British and foreign tourists looking to get away from the bustle of cities such as London. There are few other places in the country you’ll find a deserted beach in a picturesque location – but that’s Cornwall for you. One of the top tourist cities in the UK has to be Bath. As soon as you arrive, it’ll quickly become apparent why the crowds flock to this Somerset locale. 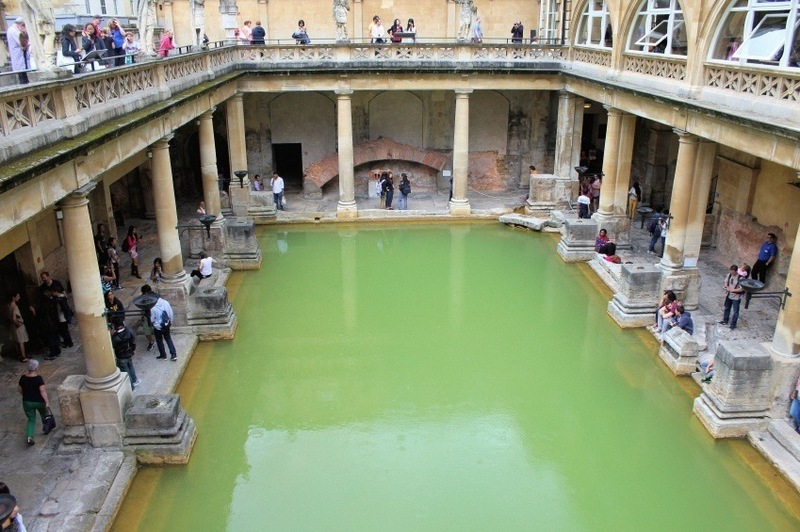 Despite being not all that far from London, the striking architecture and (more famously) preserved Roman baths – which gave the city its name – are unlike anything you can see in the UK. Wandering amongst the striking streets and buildings, then snapping a photo of the hugely impressive spas is worth the trip alone. Be warned, the crowds will likely be plentiful and prices can get quite high, but Bath remains a worthwhile side trip for the historically inclined. 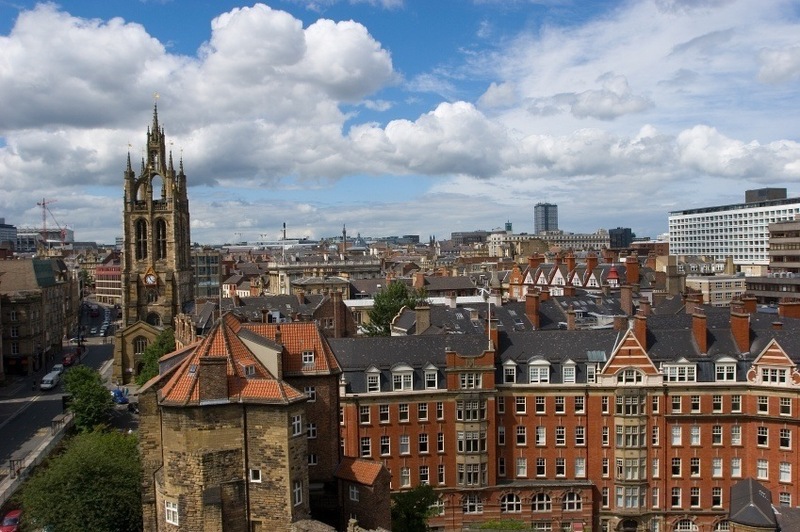 Britain’s second largest city has come a long way since the days of the industrial revolution. It’s been on the rise for several years, with an increasing amount of pubs, restaurants, and clubs of all sorts (ranging from the rough to the cutting edge). There’s a huge amount of canals here that make for picturesque city walks (just don’t expect gondoliers) and historic factories among other industrial parks. But it’s really the cultural scene that makes Birmingham a must see these days. As the city reinvents itself, more and more young people are coming to let loose, create, and help the city come alive. Birmingham might be the second largest city, but Manchester might just be deserving of the ‘Second City’ moniker. Another post industrial city that initially struggled to find its place in modern England, Manchester has experienced a recent resurgence. Force to rebuild much of the city centre after an IRA bomb went off in the 90’s; Manchester has ironically entered the 21st century in a much stronger position thanks to this. There’s an increasing amount of cultural events and sights – from music to food to performances. Throw in one of the world’s most famous soccer teams and you’ve got more than enough to keep you entertained. While Manchester has been revitalized, it remains a down-to-earth northern city, where authentic public houses and a great night out can be found with little effort. Located less than an hour from Manchester, coastal Liverpool is another city chocked full of history, culture, and excitement. Forever linked with the Beatles, fans of the fab four are sure to be pleased by the amount of history, exhibits, and iconic landmarks (such as the Cavern Club) associated with the band. The city possesses a real authentic feel and the sights (besides the Beatles) are plentiful. Whether it’s the diversity of architecture, museums, or the iconic Albert Dock – the Liverpool experience is sure to delight. When the sun goes down, you’ll find that the city features a great nightlife as well. It’s the most popular national park in the country, and for good reason. Like the Highlands in Scotland and Snowdonia in Wales, this is the place to go if you want to see just how beautiful England actually is. You’ll find England’s highest peak here, sprawling lakes, massive glacial carved valleys and much more. The town of Keswick makes a good base to explore the region, though it’s not hard to reach from the cities in the North West if you’re on a schedule. Still, do yourself a favour and spend a least a few days hiking, camping, and really experiencing the region before returning to civilization. With each panorama you come across better than the last, you might not want to leave. The great poet William Wordsworth was inspired by the Lake District’s beauty, and you’d be hard pressed not to be too. Separating the North West from Yorkshire and the North East lies the ‘backbone of England’ – otherwise known as the Pennines. 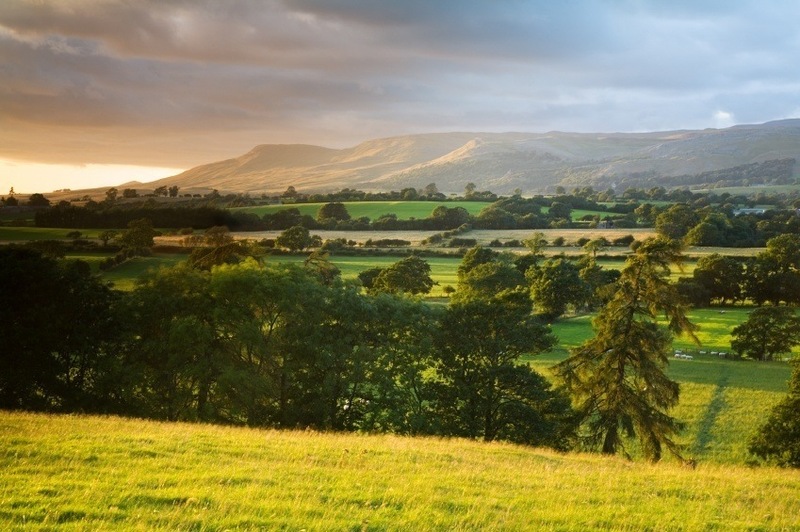 Stretching from the beautiful Peak District to the Scottish border, this mountain range features rugged scenery, amazing views, and more great hiking – all with a welcome dose of solitude. The sometimes flat tops of the hills are often sparse and barren, but this only adds to the unique makeup of the land. If you’re up to it, the Pennine Way (the UK’s oldest trail) follows most of the chain for a whopping 429 km. There’s no better way to explore Northern England’s rough exterior than a trek through the most demanding yet beautiful trails. As one of the finest examples of a Medieval city in the world (and also featuring a wealth of viking museums and artifacts), York is a must for any history buff. The remnants of the wall still surround the town to this day, while the crooked streets are appropriately claustrophobic. The Shambles is the most famous historic street in the area, with the overhanging buildings and cobblestone path welcoming tons of tourists every year. 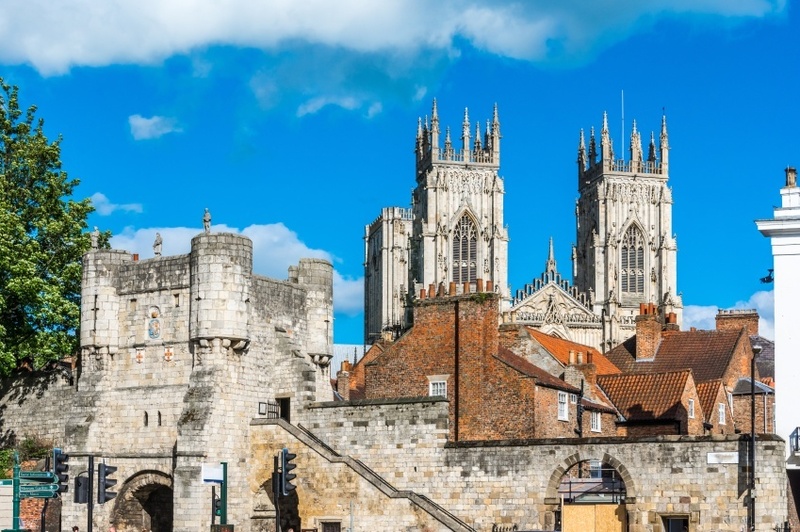 All told, a wealth of major events in the history of Northern England and the country as a whole took place in and around York, and you’ll feel much closer to the past once you visit. There’s even a burgeoning restaurant scene once you’ve explored everything else the city has to offer. This city in the North East is unique, energetic, proud, and above all a joy to visit. Grit and historical elegance combine to create a locale that is enticing to visitors of all sorts. Known across the world for its beer and soccer team, you’ll find plenty reminders of both as you wander the bustling streets of Newcastle. Grey Street especially is fantastic for shopping, and was recently named the finest street in Britain. If you’re interested in history, go on an excursion to nearby Lindisfarne (home of one of Britain’s oldest monasteries) or learn more about the venerable Bede in Jarrow (the most prominent of Anglo-Saxon scholars). Finally, the city has a renowned nightlife – thanks in part to an abundance of students – and a great music scene to boot. A round trip flight from Pearson to London will often run at least $1100 Canadian, though this is usually on the low end. That being said, prices can fluctuate greatly, and there are some very good deals out there. This will depend on what season you’re going, who you fly with, etc. Be sure to shop around for the best possible rate, since it can make a big difference. Once you arrive in England (or the UK in general), you can expect daily expenses to range anywhere between $100 and $220 on a mid-range budget. That being said, depending on what you’re doing and how frugal you are, you can get by pretty cheaply. Pubs often offer meals for less than 10 quid and some sights and activities will have minimal costs. London can be a very expensive city in comparison to other parts of the country (though cheap meals can still be found), although it’s worth noting most museums are free. 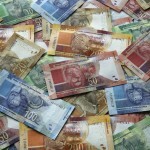 Be warned, the exchange rate between the Canadian dollar and the Pound sterling is not great for Canadian travelers right now, but this is usually the case with the pound’s value. England (and the United Kingdom as a whole) is a generally safe and secure country. There is no nationwide advisory according to the Government of Canada, and normal security precautions are recommended throughout. As always, be aware of petty crime in tourist and urban areas, especially in London. If you plan on hiking off into regions such as the Lake District or the Pennines (or anywhere else for that matter), make sure you are properly supplied, someone knows where you are going, and don’t overestimate your skill level. As long as you use your best judgment, your visit to England should be one of the most enjoyable and memorable trips you’ll take. These are just a few examples of where to go in England, there’s tons more to see and do. If you think somewhere else should be on the list, let us know in the comments. 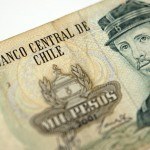 Check out our Country of the Week for more general information about English history and culture as well as our Currency Spotlight for information on the pound.